I love that photography allows you to travel in time. This picture will be two years old this fall and I just felt like Cambodia this evening and rediscovered it when looking through my folders of unprocessed photos. 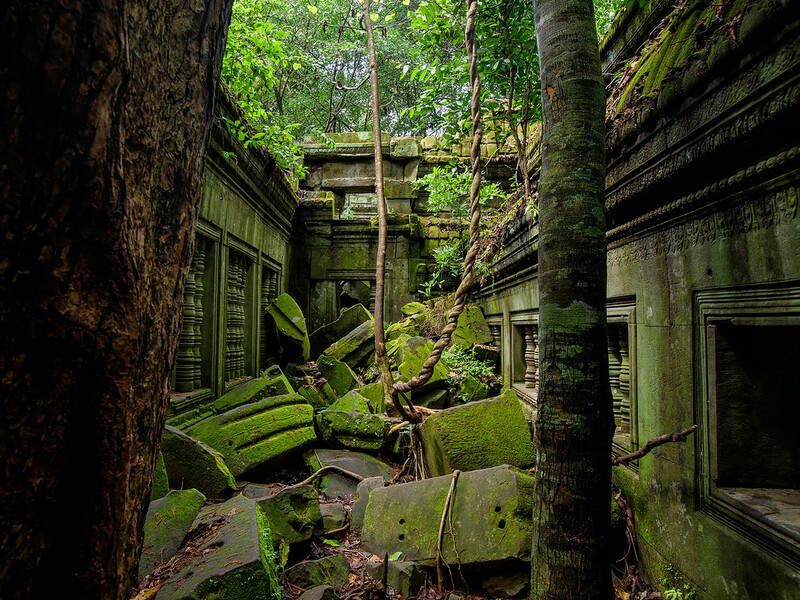 Beng Mealea has been consumed by the jungle and it appears to be of a less robust construction than many of the other temples so it is in a more advanced state of digestion. It is that ruined aspect that makes it interesting. Trees have torn down walls and the delicately carves stonework has been carpeted in moss. Frog, lizards, and insects about as do the occasional colonies of bats. It really does feel like stepping back in time and the picture brings back that sense of wonder and adventure I felt when I was there.